In September, the Tuesday Report will celebrate its 7th birthday. Over the years we've had requests to offer classified advertising on our weekly newsletter service, as it would provide a most timely way to reach the vast barter market place. We are now offering this weekly service to the business community. Here's what you will receive for $100. A 32-word classified ad, which will be placed on the coming Tuesday Report, when the ad is received by (the previous) Saturday, 9 AM, PST. Placement of the ad and payment for the ad is done online by going to www.barternews.com, "Order Form" (see navigational bar). Your classified ad will be "archived" in a Special Classified Ad Section once it appears in the Tuesday Report for one year. Classifications Available: Products; Services; Media; Travel; Miscellaneous; Announcements. To place your ad(s) in The Tuesday Report, proceed to the "Order Form" and fill in the pertinent payment information, then scroll down to "The Barter Market Place" where you can type in your 32-word ad. DISCLAIMER: Should BarterNews find any advertising to be misleading, we will immediately remove the ad from the archived section. We do not represent that any advertisers or products/services have been investigated. The fact that services/products/announcements are advertised in the Tuesday Report should not be taken as an endorsement by BarterNews or The Tuesday Report or their staff. Therefore you should approach all such contacts with the same care you exercise whenever you do business with an unknown. Specialty freight shipping company based in Chicago area is currently accepting shipments on trade. Shipments must be to and from locations in the 48 state continental U.S. They specialize in the transportation of exhibits to and from trade shows and shipments that require an extra level of attention to the details. Call Grizelda at (847) 588-1818 ext. 124, or e-mail grizelda@itatrade.com, to see if they can be of service with your next freight shipment. Available nationwide...Impact USA�s New Movers Program. Impact will print full color jumbo postcards with your company�s message, offer and logo�s, and then solo mail them to all residents in the zip codes you choose. The solo monthly mailing program includes printing, design, target list preparation, postage, and delivery to the post office. Call Lisa Hoffman (847) 588-1818 ext. 152, or e-mail lisah@itatrade.com. Crowns, bridges, implants and restorations. All ceramic Procera & Inceram. Hybrid, polyceramic. PFM. Karen Zaur (847) 588-1818 ext. 133, or e-mail: karenz@itatrade.com. Botony 500 Brand, sizes 10-13, high-quality, mixed conservative colors: blue, gray, black and brown variety. $72 per dozen. Karen Zaur (847) 588-1818 ext. 133, or e-mail: karenz@itatrade.com. For your home or business, customized school stamps and accessories. Karen Zaur (847) 588-1818 ext. 133, or e-mail: karenz@itatrade.com. NTA Trade offers select pieces from the exclusive John Hardy Collection. This jewelry is sold at major upscale retail stores such as Neiman Marcus and Saks Fifth Avenue. Call Jill (847) 588-1818 ext.148, or e-mail: jillh@ntatrade.com. Signed in stone by artist Salvador Dali, the condition of this large 31-1/2” x 26” size work is excellent to perfect. It has an appropriate 3” contemporary, museum-quality, custom-hand assembled solid wood frame, hand-laid silk matting, with a 3/4” matching wood fillet, under glass. Listed in the Official Catalog of the graphic works of Salvador Dali by Albert Field (authorized by Dali) COA included for $940 trade. Call Rhonda at (847) 588-1818 ext. 122, or Sheri at extension 123. We will print full-color jumbo postcards with your company’s messages, offers, and logo’s on the back. Then we mail the post cards to all new residents in the zip codes you choose. Available nationwide. Call Lisa Hoffman (847) 588-1818 ext. 152, or Lisah@itatrade.com. Custom corrugated pop displays, storage, rentals, and pre-owned exhibits. Also specialty boxes for premiums. Contact Grizelda at (847) 588-1818 ext. 124, or grizeldas@itatrade.com. A Kleinberg Belt is American’s luxury brand and will show class beyond compare! Made from alligator, ostrich and other exotic leathers. Contact Melindam@ntatrade.com. We have $50,000 in popcorn from Trails End—the producers of popcorn for the Boy Scouts of America fundraising efforts. Packages come in eight different flavors, and are available in $1,000 lots or more. For details on flavors and prices call: James Kusturin, president of iBTX, at 800-298-5211. These beautiful handbags are made by some of the finest craftsmen in Italy. These bags with laptop inserts are founded on the belief that everyday handbags should be as luxurious, stylish and versatile as her lifestyle. Marka's mission is to blend the elements of luxury, functionality, color and comfort into one bag. First time ever offered on trade. For selection of styles contact gabis@itatrade.com, or call (847) 588-1818 ext. 120. In and out of state, residential and commercial. Toll-free 800 #'s. Calling cards (no prepaid or stand-alone). Contact Karen Zaur at (847) 588-1818 ext. 133 or karenz@itatrade.com. Provide your employees with a discount dental plan. BarterDentalPlans is a convenient and economical way to provide dental benefits to your employees. They will have the ability to choose from over 30 plans, such as AETNA, CIGNA, GE and more. Plus up to 60% savings on most dental procedures. Plans start immediately, no forms, no deductibles, no referrals to specialists needed. Plans range from $79.95-$189.95 (100% Trade). To join or for more information contact Karen Zaur at (847) 588-1818 x133 or karenz@itatrade.com. Chandeliers, track lighting, fans, Tiffany lights, lamps and sconces. Too many styles and colors to mention - over 1,000 fixtures to pick from in our showroom. Prices are two times wholesale and minimum order $2,000. Contact Rhonda at (847) 588-1818 ext. 122 or rhondab@illinoistrade.com. Specialist in forming and qualifying corporations and limited liability companies in all U.S. states and offshore. 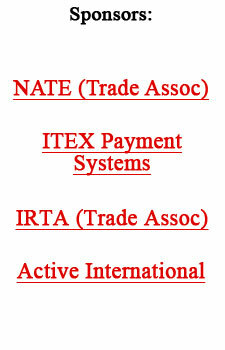 Contact Mary Ellen Drews for more information at (847) 588-1818 ext.114 or maryd@itatrade.com.